"You don’t have to be terribly learned musically to realize that something wonderful has transpired in Bach’s monumental set of variations on a ground bass. Sigurjónsdóttir does the hard work for you, so just sit back and enjoy!" "This is first-rate interpretation, singularly sensitive to all the nuances of the music while bringing out the sheer beauty of the parts. If you already have a version or two of these pieces, this will augment the pleasure of the music with another reading, one that is vivaciously modern. If you do not have the music, here's your perfect chance to get an excellent version. Bravo!" 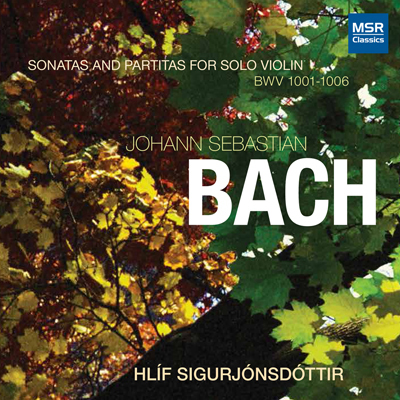 "... contained some of the most adventurous and abstract music of Dark Music Days.... and expressive journey that showcased Sigurjónsdóttir’s mastery of the extreme upper register.... The Sorceress, a multi-movement work written for Sigurjónsdóttir, brought the program into furious overdrive.."
Dómurinn í heild (pdf) − Dómur um alla tónleika þriðja dags MM.